CALL 808-936-1110 FOR SPECIAL RATES AND DISCOUNTS. Beachfront Homes and Rentals on Maui, Kauai, Oahu & the Big Island. Hawaii vacation rentals for the luxury traveler. 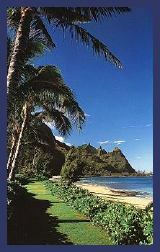 Hawaiian beachfront oceanfront resort & golf course vacation homes & rentals. *Parties of more than 8 persons are allowed at a few select properties by "special permission only" and with an additional charge for that booking. Kona Bay Estates - Hale O'Lihi Kai - Hawaii Beachfront luxury home, spectacular architecture, 4 bedrooms - sleeps 8, pool. Call for Rates. Kona Bay Estates - Kona Bay Estates #35 - Hawaii Oceanfrontfront luxury home, spectacular architecture, 4 bedrooms/4.5 baths, pool. Call for Rates. Kona Coast - Kona Alii Makai - Hawaii Beachfront luxury classic beach home, 5 bedrooms - sleeps 12, pool, beach access from lanai. Call for rates. Kona Coast - Hale Ke Kai - Hawaii Oceanfront luxury villa, pool, 3 bedrooms - sleeps 8 - From $850 a night. Kona Coast - Pali Kai - Hawaii Oceanfront luxury private estate, 3 bedrooms plus apartment - sleeps 8. From $995 a night. Kona Coast - Hale Poma na ke Kai - Hawaii Oceanfront home, 2 bedrooms - sleeps 4. From $395 a night. 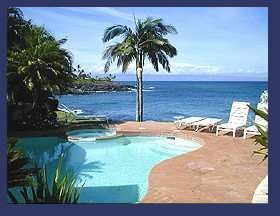 Kona Coast - Oceanfront Plantation Managers Home - Hawaii Oceanfront home, 4 bedrooms - sleeps 8. From $725 a night. Kona Coast - Seaside Cottage - Hawaii Oceanfront home, 3 bedrooms - sleeps 6. From $495 a night. Kealakekua - The Dolphin Retreat - South Kona Oceanfront home, 3 bedrooms - sleeps 8. From $475 a night. Kealakekua - Hale Naia Kealakekua - South Kona Oceanfront home, 4 bedrooms - sleeps 10. From $475 a night. HOLUALOA - LARGE GRACIAS PRIVATE GATED ESTATE - 5 bedrooms,4.5 baths, Media room, 2 offices, huge swimming pool.. $1995 to $2995 night. Kona Bay Estates - Across from Beach - Lovely home, literally steps from Keiki Beach, 3 bedroom, plus family room - sleeps 8, pool. From $595 night. Kona - Hale Malia - Hawaii Luxury coffee plantation estate - Two master suites, one with nanny/child seperate sleeping area, billiard room with twin beds - sleeps 7, pool, panoramic views. SPECIAL $325/night. Kona - Hale O'Honu - New spacious 4 bedroom home, great ocean view, close to town and beaches, 2 master bedrooms on main level, 2 mini suites (w/mini kitchen) on pool level, pool - sleeps 8-10. From $495 a night. Kona - Oceanview Plantation Home - Pool - 7 bedrooms - From $1100 a night. Kona - Hale Kona Alaula - Hawaii luxury private estate, 4 bedrooms. From $1095 a night. Kona - Comfortable Island Home - Charming home in quiet neighborhood with great ocean views, 3 bedrooms plus sleeping porch - sleeps 8, large pool. From $395 a night. Kohala - Hale Maka Kohala - Hawaii Oceanview private estate, 3 bedrooms plus den - sleeps 8. From $995 a night. Kona Condo - Hale Alii - Two Bedroom/2 Bath condo with pool! $145 to $195 a night. Four Seasons Hualalai - Four Seasons - Ocean Front - The ultimate in oceanfront resort private homes, 4 bedroom, 5 bath, study, maids' quarters, private pool, spa. All amenities of the resort included. From $9500 a night. Four Seasons Hualalai - Four Seasons Overlooks the Ninth Green - Fabulous resort home, with resort privileges, 4 Bedroom, 4 1/2 Bath, Den, Pool, Spa. From $1800 a night. Mauna Kea Resort - Hale Ikena Mau Loa - Gorgeous 3 bedroom plus poolhouse - sleeps 9, pool, spa, sauna, walk to beach, resort privileges. Call for rates. Mauna Kea Resort - Mauna Kea - 3 bedroom/den/pool/spa... sleeps up to 8 persons. Call for rates. Mauna Kea Resort - Lilo Lani I Ka Wai - Hawaii Luxury resort villa, ideal for get-togethers, corporate escapes, events, 6 bedrooms, 7 bathrooms, 3 kitchens, resort privileges. From $2250 a night. Mauna Kea Resort - Mahiole at Mauna Kea - Hawaii Luxury resort villa, 3 bedrooms, pool. From $1100 a night. Mauna Kea Resort - Kalani Kai - 4 bedroom home with pool, spa, resort privileges. From $995 a night. Waikoloa - Kolea -3 bedroom penthouse - sleeps 6. From $850 a night. Maui - Heavenly Jewel - 4 bedrooms, media room with sleeper, 5-1/2 baths, pool, spa, BEACHFRONT - Sleeps 8-10 $4000-$6000 night. Maui - Beachfront Sandcastle - 6 bedroom 4 bath, Elegant Beachfront, spa, sleeps 12-14 $2500-$4500 night. Kapalua - Beachfront Golden Palace - Incredible luxury estate, 6 bedrooms, projection room, 60' pool and more! From $7200 a night. Kapalua - Kapalua Beachfront - Indescribably Beautiful 4.5 Bed, 5.5 ba, $6500-$7200 nite. Kapalua - Beachfront Palace - One of Maui's Finest Homes. I5/5.5 sleeps 10 $6000 nite and up. Kaanapali Beachfront Estate - Luxury Villa with 8 bedrooms, media room, billiards room with library and bar, central A/C, heated pool, children's pool, gym, spa, pool. From $7200 a night. Napili - Pacific Luxury Villa Oceanfront home with pool and spa,5 bedroom 5 bath. From $3000 a night. Napili - Jade House - Luxury Villa, 3 bedrooms plus loft - sleeps 8. From $995 a night. Napili - Napili Kai Hale - 3 Bedroom, 2.5 Bath Home, Sleeps 6. From $895 a night. Napili - Hale O' Napili - Luxurious oceanfront 2 bedroom, sleeps 4, pool, spa. From $990 a night. Honokeana - Hale O Ka Honu - Luxury Villa, 3 bedrooms, pool. From 995 a night. Lahaina - Sand & Sea - 6 Bed/6 be sleeps 12. $2650/nite and up. Lahaina - Keiki Beach - Oceanfront Villa, 3 bedrooms. From $895 a night. Lahaina - Lahaina Breakwater Estate - Main home has 4 bedrooms - sleeps 8, optional guest home has 3 bedrooms - sleeps additional 6. From $1450 a night. Lahaina - Hale Lahaina - Luxury Villa, 5 bedrooms, pool - From $1150 a night. Lahaina - Paradise Retreat - 3/4 (sleeps 6 - 8) - $2250 - $2995 a night. Lahaina - Vivid Pacific - 3.5/3 (sleeps 6) - $995 - $1795 a night. 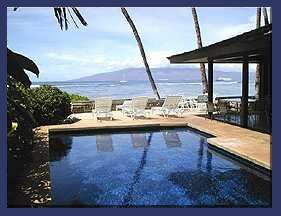 Lahaina - Whale View - 3.5/3.5 (sleeps 6 - 8) - $995 - $1795 a night. Lahaina - Paddlers Shore - 3.5/3 (sleeps 6) - $995 - $1795 a night. Lahaina - Lahaina Mooring - 3/3 (sleeps 6) - $995 - $1795 a night. Kahana - Sea Garden Villa - 4 bedrooms plus den, plus 1 bedroom guest suite - sleeps 11. From $3300 a night. Kahana - Kahana Beach Front Estate 3 bedroom home. From $795 a night. Kahana - Seabreeze Twin Villas - Two Unique Tropical Balinese-style Villas with 6 bedrooms each. From $1800 a night. Kuau - Hale Aleiki - Luxury Villa, 7 bedrooms - sleeps 12. From $950 a night. Makena - PollyMakena - Luxury Villa, 3 bedroom - sleeps 7. From $1295 a night. Kihei - Hale Kahakai - Luxury Villa, 3 bedrooms. From $1900 a night. Kihei - Sandy Surf - 9/11 (sleeps 18) Call for Price. Kihei - Villa Kumulani - 4/5 (sleeps 8) Call for Price. Kihei - Coral Reef - 5.5/5.5 (sleeps 10-12) $4000 - $5000 a night. Kihei - Sea Pearl - 7 bedrooms (sleeps 14) $4300 - $5500 a night. Kihei - La Perouse - 2/3.5 $2000 - $3500 a night. 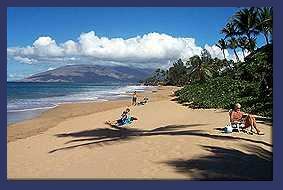 Kihei - Plumeria - 5/6 (sleeps 10) $2000 - $3500 a night. Kihei - Mango Surf - 3/2.5 (sleeps 6) $1500 - $2500 a night. Kihei - Beach Villas - 2/3.5 - $1500 - $2500 a night. Wailea - Wailea's Paradise - 3 bedroom, 2 bath - sleeps 7. From $1325 a night. Wailea - Wailea Gardens - 5/4 - (sleeps 10) - $1500 - $2500 a night. Wailea - Tropical Enchantment - 4/4.5 + 1/1 - $995 - $1795 a night. Wailea - Wailea Sun & Sea Villa - 4bedrooms, 4 bath + 1bed/1bath - sleeps 10. From $1500 a night. Wailea - Wailea Opal Sea - 4.5 bedrooms, 3 bath. From $3700 a night. Pai'a - Sea Breeze Villa - 4 bedroom, 5.5 bath - sleeps 8, sleeps 12 with additional adjacent suite. From $2250 a night. Kaanapali - Sunworshipper - Luxury Villa with pool. From $450 a night. Kaanapali - Hale Kohola - Luxury Villa, 5 bedrooms - sleeps 10. From $1100 a night. Kapalua Resort - Kapalua Resort Villa - 4 suites, 5.5 bath, resort privileges. From $2000 a night. Kapalua - Kapalua Oasis - 4/6 - sleeps 8 persons. $3200 nite and up. 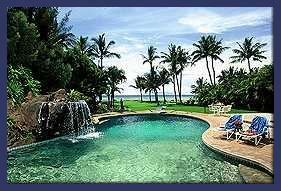 Kapalua - Kapalua Sea View - 4/6 sleep 8 persons $3200 night and up. Lahaina - Travis Estate - Luxury Estate, sleeps 14. From $1800 a night. Lahaina - Casa Kaipali - Vacation Home, 5 bedroom - sleeps 8. From $1175 a night. Lahaina - Keiki Kai - Luxury Estate, 5 bedrooms - sleeps 10. From $1250 a night. Kahana - Red Palms - Luxury Villa, 5 bedrooms - sleeps 10. From $995 a night. Wailea - Golden Sun Villa - Luxury Villa, 5 bedrooms - (sleeps 10), pool. - $1400 - $1700 a night. Wailea - Beach Sandals - Luxury Villa, 5 bedrooms - (sleeps 10), pool. - $1100 - $1700 a night. Wailea - Sunscape Pagoda - 5/4 - (sleeps 10), pool. - $995 - $1795 a night. Anini Beach - Hale Ikena - 6 bedroom NEW home with swimming pool - sleeps up to 12. From $1650 a night. Tunnel's Beach - Bali Hai Dream House - Luxury Home, 4 bedrooms - sleeps 8. From $995 a night. Tunnel's Beach - Charos House - Luxury Home, 7 bedrooms - sleeps 14. From $1250 a night. Haena - Villa Kanaha - Beachfront Villa, 3 bedrooms, sleeps 6. From $6000 a night. Haena - Hale Luana - Luxury Vacation Home, 3 bedrooms - sleeps 6. From $595 a night. Haena - Makana Kua - Beachfront Home, 3 bedrooms + den, 3 bath. From $995 a night. Kilauea - Pavilions at Sea Cliffs - Hawaii Luxury Estate - From $5000 a night. Kilauea - Secret Beach - Hawaii Luxury Estate, 9 bedrooms. From $1800 a night. Kilauea - Secret Cove - Luxury Estate Villa, 3 bedrooms. From $695 a night. South Shore - Sunset Makai Hale - Luxury Home, 3 bedrooms. From $1500 a night. North Shore - Tropical Beachfront Estate - 5 bedroom, 5 bathroom - sleeps 10, infinity pool. From $1700 a night. Hale O Kala - Luxury Beachfront Villa, 5 bedrooms. From $2500 a night. Kalani Kai - Luxury Beachfront Vacation Home, 4 bedrooms. From $1100 a night. Mediterranean Villa - Luxury Beachfront Villa, 5 bedrooms. From $15,000 per month. Paul Mitchell Estate - Luxury Beachfront Estate, 5 bedrooms. From $75,000 a month. Paradise Point - Luxury Beachfront Vacation villa, 7 bedrooms - sleeps 16. From $850 a night. Hale Maluhia - Kailua Beachfront Luxury Home, 3 bedrooms. From $695 a night. Villa Kailuana - Kailua Beachfront Luxury Home, 4 bedrooms - sleeps 10. From $1800 a night. Lanikai Beachfront Estate Home - 6 bedrooms - sleeps 10. From $4500 per night.